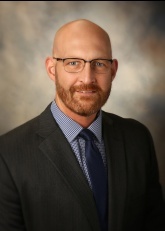 Kristofor L. Hanson | Wisconsin Employment Defense Lawyer | Lindner & Marsack, S.C.
"My goal is to guide clients through difficult times to successful results." Kristofor Hanson is a partner with Lindner & Marsack, S.C. He represents employers in various labor and employment law matters before both state and federal courts, and administrative forums. He has successfully defended clients in matters arising out of a variety of state and federal employment and labor laws. These matters include employment discrimination claims, wage and hour issues, unemployment claims, Family and Medical Leave Act and disability claims, disputes arising under the National Labor Relations Act, and other labor-related matters such as collective bargaining and arbitration. Mr. Hanson also counsels employers on compliance with the myriad laws and regulations employers must follow and keeps those employers apprised of impactful changes. He has experience drafting and developing employee handbooks, non-compete and non-solicitation agreements, as well as employment contracts. As a frequent representative of public employers, Mr. Hanson has considerable experience handling matters related to open meeting and public records laws. With an extensive background in employment law, he also frequently is asked to present on various employment related topics and is engaged with local and national human resources organizations.